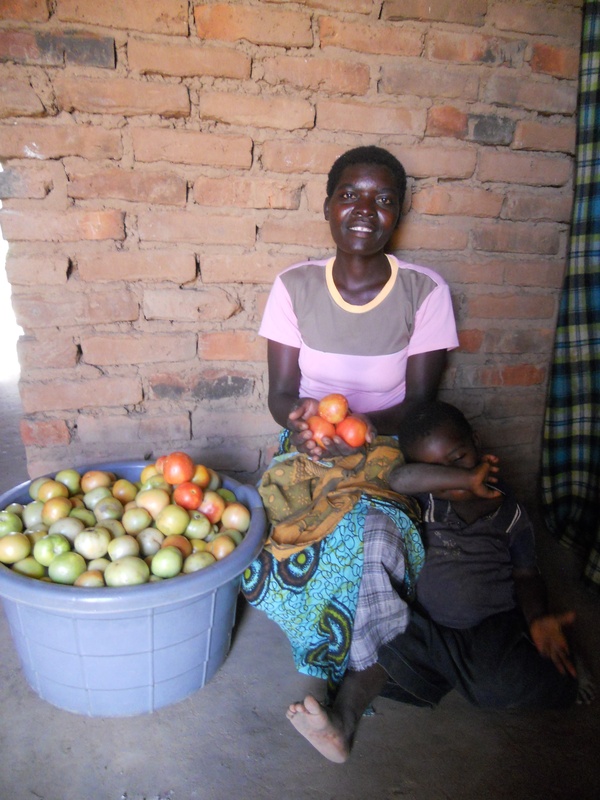 With assistance from PWS&D and EHAP, Shupe was able to start a business selling tomatoes. Three years ago Shupe Mdumkuka discovered that she was HIV-positive while pregnant with her third child. She worried about whether she would transmit the disease to her baby or if she would eventually become too weak to provide for her already struggling family. In partnership with the Ekwendeni Hospital AIDS Program (EHAP), Presbyterian World Service & Development is working to actively prevent the spread of HIV and provide compassionate care to those living with the disease. The program has helped ease Shupe’s fears about the future. To ensure she did not transmit HIV to her baby, Shupe’s child was given HIV treatment drugs for 72 hours after birth and tested negative six weeks later. This regimen that has been extremely successful in decreasing the rate of mother to child transmission of HIV in Malawi. Shupe and her husband – who tested positive – were also provided with anti-retroviral (ARV) medications. As well as supplying essential HIV and AIDS treatment, PWS&D is providing HIV-positive families with start-up capital to help them earn incomes and meet their everyday expenses. Through the program, Shupe received MK 20,000 (approximately $50) to begin a small business buying and selling tomatoes. With the profits she generates, Shupe is reinvesting in her maize garden so that her family will have enough food for the future. Thankful for the support she has received, Shupe and her family are confident that, despite their HIV status, they will be able to lead healthy and productive lives.